I am absolutely torn when it comes to Farewell. On the one hand, I appreciate Ashley Burch and Hannah Telle reprising their roles as Chloe and Max; and Burch’s talent as a writer shines. But on the other hand, I’m not sure this particular story needed to be told. 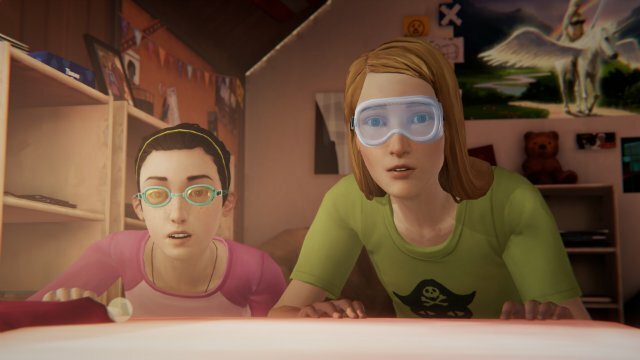 If you’ve played the first LiS, you’ve experienced Max and Chloe’s last day together before Max moved…several times. And BtS is ALL ABOUT Chloe’s grief, anger and pain stemming from losing both her father and her best friend on the same day. Don’t get me wrong, it’s a well-crafted story. The dialogue sounds and feels natural for two thirteen year old girls in the mid-2000s. It’s a wonderful little aside that adds more depth to the LiS universe. But for as solid as it is, there is something about Max’s characterization that doesn’t sit right with me. Neither game really gives a satisfactory answer to why Max dropped contact with Chloe after she moved. 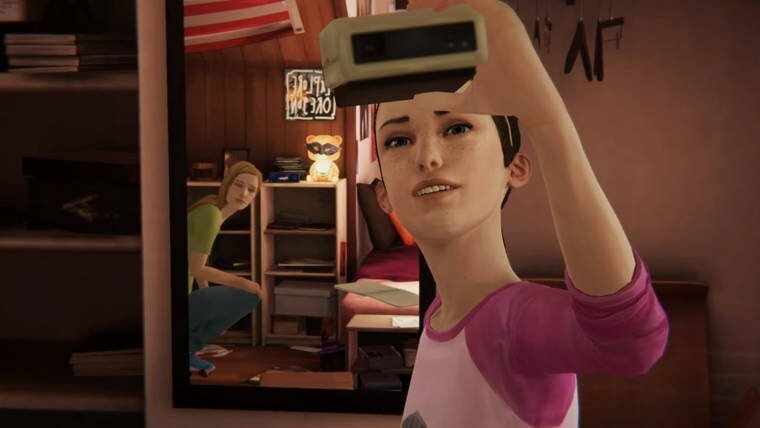 The first LiS didn’t really need to; it didn’t matter why she stopped talking to Chloe because Max was back in Arcadia Bad and trying to reconnect. BtS gives a little more context through sporadic, and eventually unanswered, texts between the two girls. It’s not unreasonable to assume that Max, being a teenage girl in a new city simply got caught up in trying to adjust to her new situation. Moving hundreds of miles away, trying to make new friends, trying to understand herself…it would be a lot for anyone to try and handle. Max is also set up in LiS as the kind of girl who lives in her own head a bit too much. she is racked with guilt throughout the entire game over her five year silence and leaving Chloe when her friend needed her most. She seems to feel guilty for moving on and having a life of her own while Chloe seemed to be stagnating. But one thing Max isn’t is a coward, especially when it comes to her best friend. And that’s what Farewell tries to paint her as. Max is fixated on preserving and savoring important moments in her life; that’s why shes such a talented photographer. She wouldn’t have kept the news of her move from Chloe until the last minute, or asked her parents to keep it a secret. She would have told her friend as soon as possible so they could relish every second, take tons of pictures and do everything they could to make lasting memories before being separated. The cowardice and uncertainty displayed in Farewell is a direct contradiction to Max’s entire character arc and development in LiS. I was wholly expecting it to be revealed at the end that it was Future Max all along, trying to find a way to “fix” everything; trying to make up for making Chloe feel utterly abandoned. The hollow promises on the cassette tape sounded like the words of someone much older. They sounded like someone who had enough experience to know they were just empty platitudes people give when they don’t know what else to say, rather than the earnest hopes of someone on the cusp of childhood and young adulthood. As a standalone story, Farewell works just fine. But when you try to blend it into the LiS universe as a whole, it doesn’t mesh. We already know everything we need to about the rift and repair of Max and Chloe’s relationship. There isn’t anything left to explore in that facet of the story. We didn’t need yet another rehashing of William’s death and its effect on Chloe. What we needed was a story of how Rachel Amber met Mr. Jefferson, and how that led to Rachel’s disappearance. We needed to see how Jefferson’s seduction and manipulation of Rachel created a rift between her and Chloe, and we needed to see how that rift allowed to Chloe to so readily accept Max back into her life in spite of all her feelings of rage, hurt and betrayal. That’s the kind of story that would have nicely tied the two games together and been a satisfying ending to the story of Max, Chloe and Rachel. Farewell, for all its craftsmanship, has left a kind of bitter taste. It wasn’t the story we needed, or these characters deserved.